A deliciously made Creamy Stew done with nine different mixed ingredients of Vegetables,Paneer and nuts. 'Navratan' means nine gems and the recipe includes nine different main ingredients, mostly vegetables. This Thick,Cream based or coconut sauce gravy tastes great.U may need 20 - 25 mins time for the gravy and this serves 4 nos. It goes well with Fried Rice,Pulao,Parota,Naan,other Indian Breads etc. 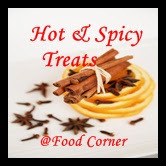 Enjoy Tasty Cooking at home!. Enjoy Ur Meal!. BonAppetit!. 1.To make tomato Puree at home,boil tomatoes for 10 mins and allow it to cool.Peel off the tomato skin and make paste or puree. 2.Heat 1 tsp ghee and slightly fry the cashewnuts and then the paneer cubes on medium flame. Keep it aside. 3.Add 2 tsp oil to that same pan. Fry Bay leaf with 1 cardamom,1 clove and 1/2 cm cinnamon stick. 4.Saute onion paste and ginger-garlic paste till golden brown. 5.Add turmeric powder,red chilli powder,coriander powder,garam masala and salt and stir it for 2-3 minutes on medium flame. 6.Add tomato puree and Stir-Cook the mixture for 4-5 minutes. 7.Now,add milk(or dissolved Coconutmilk powder) and cook till the gravy becomes thick on low-flame. 8.Add 3/4th done Veggies to the Mix and stir-cook for 2-3 mins.Check for salt and turn off the flame. 9.Add cream,cashews and chopped coriander leaves on top and serve this creamy(the navaratna) korma hot with Fried Rice,Parota,Naan,Indian Breads etc.That's All!. Cornflakes serve not only a Rich Breakfast /Dinner - also a handy Teatime Snack item.This yumm Pakoda provides a teatime snack (or taste-match for Sambar or Rasam Sadham) - when unexpected guests arrive or for ur family anytime. This Dead Easy snack can be done in 5-8 mins time and serves 4 - 6 nos. Recipe is given here to enjoy Crisp-fried Cornflakes Pakoda(Pakora) at home.I found Aachi bajji bonda mix very extra-ordinary(then avoid adding Rice flour and Asafoetida powder. If u don't like it,use plain besan flour which U find good enough and mix it well with the other mentioned spices to try this recipe at home!. Enjoy Easy Snacks at home!. BonAppetit!. 1.Mix Aachi bonda/bajji mix with rice flour, pressed garlic cloves or paste, Butter, salt, chilli powder, curryleaves, coriander leaves and water. Mix well so that no lumps should form. The batter should be thick . 2.Add the cornflakes to the gramflour mix and Mix well.Make it into shapeless pieces. 4.Serve it hot with tomato ketchup or coconut chutney. Lassi is a popular and traditional yogurt-based drink in India. It is done blending yogurt with water n spices or sugar or honey. Lassi is a perfect thirst quencher or a refreshing drink which can easily be tried at home. This happened a year back. I added a tsp of coffee powder to an yogurt bowl, instead of milk bowl,accidentally. I was left with noother choice but to taste it or waste it. Surprisingly, it tasted awesome after I added few tsp sugar. I saw the Original recipe of 'Coffee Lassi' on the net, which is done with Sugar syrup and Espresso. U need 6-8 mins and this serves 2-3 nos.Try this simple and tasty Coffee Lassi at home. U can try 'Choco Lassi' adding few tsp of Hershey's Choco Syrup, Dates Lassi (Using Dates Syrup), Cornflakes Lassi, 'Oats Lassi' (or with Oats,buttermilk, cumin n grated ginger)...etc. Enjoy it anytime!. Have a great week-end!. 1.Beat yogurt(Yoghurt) and water with sugar till it gets dissolved well. 2.Now add the instant coffee powder and pulse it few times. 3.Then add the Ice cubes and pulse it once. 4.Pour it on tall glasses with cho strands or few sprinkles of coffee powder over it and Serve. 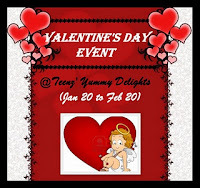 Sending this recipe post to 'Valentine Day' Event by Teena Mary! We all know that boiled Egg slices can pair up with Biryani along with raita as the simple n Easy taste-match.This recipe states a raita done with Egg slices- served an yumm-accompaniment to rich Pulao and Biryani varieties. I tasted it in my relation's house this month and luv to share that recipe here.U can try this recipe with Sliced Egg or make slits on Eggs(without slicing it). Hope U will try it at home and enjoy a tasty feast this weekend. 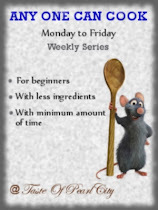 Needs just over 12 mins and 2 boiled Eggs can serve 4 nos.Enjoy Easy n Tasty recipes at home!.Enjoy ur Meal!.BonAppetit!. 1.Heat oil and saute garlic slices and add palak, jeera and salt.Saute it for 3 mins. 3. Check for salt.Arrange this raita on the serving plate. 4.At the time of serving, spread Egg slices over it with tomato ketchup on it and sprinkle a pinch of pepper n salt over it(optional). 5.This goes well with Biryani,Pulao and Chapati. This Day on July 2011, I made my space visible to the Public- though I started adding recipes from July 10th 2011 onwards. This Blogspace is a not a huge-hit or a great success but it has crossed 75000 hits an hour ago, which is fairly(reasonably) good (since homely curry-lovers tend to try traditional recipes more) . Thanks for ur support and wishes.Hope my recipes will taste better and be a treat to ur tastebuds. From Feb onwards, I will be adding more authentic recipes of traditional cuisines. Thanks again for ur support!. For this special occasion,I tried Agar-Agar(China Grass) Pudding which is Easy,healthy n tasty Dessert and can be done in 10 -12 mins time to serve 4 nos. Adjust the amount of sugar as needed. It tasted great that I wanted to share it with U. Can add 2 tsp thin cream to the mixture to make it rich.Enjoy healthy Desserts at home easily. Enjoy ur Meal!. BonAppetit!. saffron or almond flakes or pista splits or cashews or raisins - to garnish on top. 1.Dissolve gelatine in 30 ml boiling water. Keep it aside.If u do't get powdered agar-agar,powder it with sugar . 3.Stir in sugar and mix it for 2 mins . 4.Add dissolved gelatine and ix it good till done for 3 more mins. 5.Pour it to a pudding mould and leave it to settle for 15-20 mins in the fresh-tray compartment(Refrigerator). 6.Turn it upside down.Serve it chilled with pista splits or almond flakes or raisins. 'Valentine Day' Event by Teena Mary! 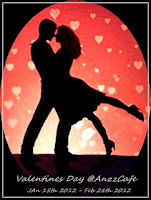 and 'Valentine Special' Event by Ancy! This is an Easy Stir-fry and needs 10 - 12 mins cooking time.U can try this stir-fry using roasted peanuts 4 tsp instead of White Sesame seeds. This serves 4 nos and goes very well with Indian Breads,Variety Rice, Fried Rice or Pulao along with raita of ur choice. It can be taken alone or done as a salad with other veggies..if done with minimal spices. Try easy n tasty recipes for ur loved ones at home. Enjoy Ur Meal!. BonAppetit!. 1.Clean the French Beans and remove the edges. 3.Heat oil,then splutter mustard seeds. Add French Beans, turmeric powder and salt and stir-fry for 2 mins. 4.Add the ground paste and garam masala.Stir-cook till done -sprinkling little water when needed Keeping the flame medium - for atleast 6-8 mins.That's all!. 5.Serve it hot with Indian Breads,Variety Rice, Fried Rice or Pulao along raita of ur choice. This Mild Spiced Fruit Salad or Fruit Chaat can be tried at home at any season Winter or summer.I call it Chill-Thrill Since it tastes better if served chill. Kids will love this Fruit Chaat. Try this with ur choices of Fruits, which taste good n get-along when mixed together.It can be served as a Teatime Snack or a taste-match with Chapati or Fried Rice or Pulao along raita of ur choice.Don't keep it outside for a long-time as it will leave water.Also change it to the Fresh Tray from Freezer after refrigerating for 15 mins. Enjoy Delicious Life by trying simple and so good recipes for ur loved ones at home. 1.Toss all the fruit ingredients except sugar and lemon juice. Refrigerate(in freezer) for 15 mins only. 2.Take the fruits out.Sprinkle sugar and lemon juice over this, mix it well and serve it immediately. Ven Pongal is a popular Breakfast Item in TamilNadu and is done using RawRice. It can be done using Oats and can taste great.I tried it with 3/4th done Mungdal and U can even try it with 3-4 whistles-done split yellow mungdal to make it look even better.U need 12 mins time in the kitchen and this serves 3-4 nos. Try this Oats Ven Pongal at home and Enjoy Healthy Breakfast!. Enjoy Ur Meal!. BonAppetit!. 1.Soak split yellow Mungdal in water for 30 mins and wash it.Slit open green chili.Pressure Cook it till done or 3/4 th done or upto 3 whistles. 2.Heat 1 tbsp ghee in a kadai and oil-roast the cashews.Keep itaside. 3.Add the oats and roast it for a min or 2.Keep it asisde. 4.Add 2 tsp ghee,cumin seeds, Grated Ginger,Pepper Corns,Curry leaves and fry for 30 secs. 5.Add 3 cups water and when it boils add the Ghee-roasted Oats and stir-cook it for 3 mins. 6.Add the 3/4 th or done Split yellow Mungdal and required Salt. Allow it to cook for 3 - 4 mins and reduce the flame. 7.Mix it well with chopped corianderleaves and cashewnuts.Serve it hot with ur choice of Chutney or Sambar. Thus done Chinese Chilli Egg Masala is so delicious and Easy-made. This needs 15 mins Cooking time and serves 4 nos. This is my adapted and easy-to-do version of Chinese Style Egg Masala.U can also use 1 tsp Aachi Chilli chicken Masala mixed with 2 tsp yoghurt instead of chilli powder for a flavored Egg preparation. This goes well with any Variety Rice or Fried Rice or Pulao or Biryani or Indian Breads. Try this Egg Masala at home for a tasty variation!. Enjoy Easy Cooking at home!. Enjoy Ur Meal!. BonAppetit! 1.Boil Eggs for 8 mins.Allow it to cool n de-shell it.Make slits on the sides. 2. Make a paste of corn flour,turmeric powder,chilli powder, garam masala.ginger-garlic paste and 1/4 tsp salt.Rub it over the Eggs and Keep the remaining spices paste aside. 3.Shallow-fry the Eggs heating 1 tbsp oil a non-stick Tawa till its done golden brown on both sides.Keep it aside. 4.Heat oil in a Tawa,stir-fry onion slices with pressed garlic,capsicum slices for 2 mins on medium flame. 5.Add tomato puree and remaining masala paste.Stir it for a min . 6.Add Soy sauce and stir it well for a min. 7.Add shallow-fried Eggs,spring onions and coriander leaves. Mix it well.Turn off the flame after a min or 2. 8.Serve it hot with any Variety Rice or Biryani,Fried Rice,Pulao or Indian Breads. This Chocolate paniyaram tastes divinely good.Very simple and needs 12 mins time in the Kitchen. U can do 20 Paniyarams using this measure. U can stuff this paniyaram with fruits or choco bites - if U have kids at home. This serves 6-7 nos. Enjoy ur Evening!.Bon Appetit!. 1.Take a bowl,add the refined flour,Cocoa powder,sugar,grated coconut,crushed cashews,baking powder and Mix this well. 2.Add enough water and mix it well so that no lump should be formed. 3.Add the beaten egg(optional). Mix this well.The paniyaram batter should be little thicker than the Idli batter. paniyaram batter in each hole and turn the side when dark or golden brown in colour. 5.Serve this Choco paniyarams hot at tea-time. too. It is a Mixed Veggie Curry done with Yoghurt n Coconut Sauce. It can be tried with Fish (Anchovy), Prawns, Mango, Pineapple, Papaya,Drumsticks,Tapioca,Apple,Banana and Grapes.This recipe states about an Avial done with Mixed Fruits.It needs little cooking time and turned out yumm (Sweet n Sour Combo). This serves 2-3.nos and can be done in 10 mins time. Enjoy ur Meal!. BonAppetit!. 1.Cut the Mixed Fruits into bite size pieces and clean them well. 2.Heat oil in a kadai,add mustard seeds,cumin seeds,curry leavesand the ground paste. 3.Add 1 cup water , salt and allow it to cook for 5 mins. 4.Add the mixed ruits and allow it to boil for 2 mins. 5.Add thick yoghurt and mix it for 20 secs. 6.Serve it hot with Aappam etc. If the gravy is thick,then it tastes good.